On January 6, 2018, Dr. Chieri Kubota and her lab hosted a strawberry workshop. 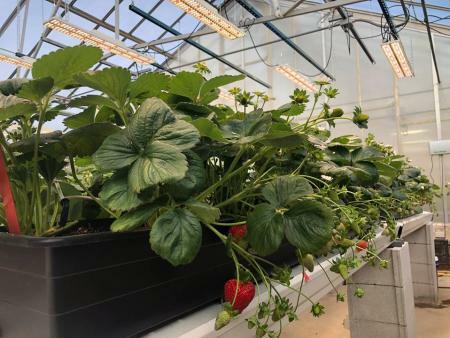 The workshop covered an overview of the Ohio strawberry industry and breakout sessions consisted of a lecture on off-season greenhouse production and a tour of the strawberry greenhouse. You can learn more about Dr. Kubota's lab at: Controlled Environment Plant Physiology & Technology Lab or check out their Facebook page.